MOTOTRBO e series radios are capable of being programmed via WiFi. In order to know when a radio is present, the radios use a protocol known as DNS-SD to announce their presence to the Radio Management Device Programmer. For this to occur, the Device Programmer and the WiFi connected radios have to be on the same WiFi Access Point - or at least TCP port 5353 needs to be allowed through to the PC hosting Device Programmer. Bonjour from Apple also uses DNS-SD. When a radio connects to the WiFi network it periodally sends out multicast DNS-SD messages. These messages arrive at the Device Programmer PC and the OTAP job starts. DNS-SD uses multicast so one needs to be careful not to route these messages to other Device Programmer host PCs - if multiple Device Programmers are used on the same LAN/WAN. The short answer is that there's a tick box in Device Programmer which sets WiFi as the route for radio configuration. DNS-SD (UDP multicast on port 5353) needs to pass between the WiFi AP(s) and Device Programmer, to allow the radio to announce itself, in addition to the TCP traffic heading to the radio from RM. 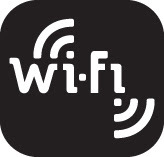 The radio needs to have WiFi enabled and must be on the network (i.e. right WEP/PSK and allowed in the Radius server if there's one). If you lose connection (e.g. the user takes their radio away) during a write, the radio will not be crashed though you'll have to start the write again. How can I achieve the DNS-SD to pass between the WIFI AP and the Device Programmer? The radio are the XPR7550e and are wifi licensed. It appears that I'm not establishing connectivity between the device programmer and the Wifi AP. The box is ticked which enables the wifi portion on the device programmer. Difficult to say. Normally I'd need to have a look but that's someone else's job at Motorola so have a look at https://cwh050.blogspot.com/p/next.html to see how you can get further assistance. The problem relating to the previous post regarding the WIFI had to do with my local machine firewall. I running Window 10 on my local machine for some strange reason there are some rules within the firewall that requires the pass-through of certain protocols.